Debbie Macomber's New Book . 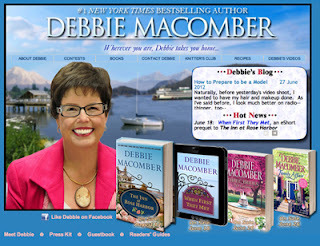 . .
Debbie Macomber has started a brand new series, The Inn at Rose Harbor, which is set in the Pacific Northwest town of Cedar Cove. I'm reading a pre-release copy of the book for an Amazon Review. I'll let you know what I think of it as soon as I am done. The book will be released in bookstores on August 14th. Manda Panda helps me tutor! This week, for my tutoring lesson, I decided to create something special for my student to read. 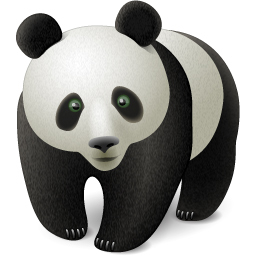 I bought some panda-themed paper and wrote her a letter from "Manda Panda" using words she knew or was learning. I put the letter in an envelope, addressed it to the young lady and placed a pretend stamp on it. She was so amazed that Manda Panda knew her address and couldn't wait to read the letter! This is a fun way to get your reluctant reader to practice reading. One warning - don't give your child the letter until after the lesson! Once she read the letter, she lost her motivation! I started tutoring in the month of June and LOVE IT! I've been working with a woman who is re-entering the workforce and needs to learn how to run a computer. We set up her new computer, got her email running, got her on the Internet and Facebook, and now we’re learning about Windows 7. I’m also working with a young lady on her algebra skills. She needs to pass the EOI test to graduate high school. I’ve had to brush up on algebra, as I haven’t had it for five years, but it’s coming back! I’m also working with a very young girl who is learning to read. It was so exciting to see her read her very first book! That was special, indeed! Tomorrow, I’m interviewing for a part-time teaching position at a local homeschool co-op. I am so excited that I’m getting to use my interests and skills to teach instead of working in an office! God is good! on "Classes" on my website. 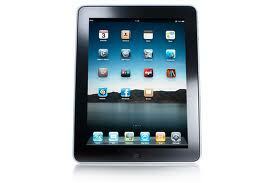 Do you have an iPad, but not sure how to use it? I can help! This is a great gift idea for your parents or grandparents who want to learn how to use that iPad you gave them! For more information, check out the Classroom page on my website. You can read my latest article about Rob's Ranch on the Oklahoma Living magazine website. Click on the digital magazine and scroll to page 12: Rob's Ranch: Where Hope Begins.